Russia’s Mi-28N Night Hunter helicopters are grounded pending completion of the investigation into Tuesday’s crash in which the pilot died and his co-pilot was hurt. The Mi-28N belonged to the Budennovsk-based 487th Helicopter Regiment in the Southern MD. Unnamed sources tell RIA Novosti investigators attribute the crash to engine failure caused by metal shavings in the engines or gear box. But one experienced test pilot told Vzglyad.ru that shavings usually don’t cause a sudden loss of control or engine failure. Over the last year, problems with the Mi-28N’s gear box, flight controls, and tactical performance have been reported in the media. In January, Izvestiya’s Dmitriy Litovkin visited the flight training center in Torzhok to look at the Mi-28N. He discussed the June 2009 crash of an Mi-28N at the Gorokhovets training range with the center’s chief, Colonel Andrey Popov. Litovkin said people believe that crash occurred when powder gases from a rocket firing got in the helicopter’s engines. Here’s a video. 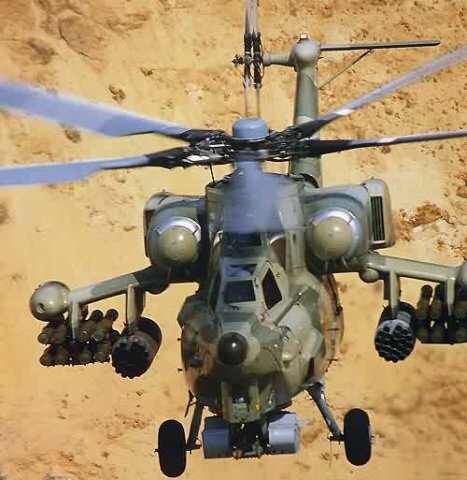 Popov acknowledged the Mi-28N’s growing pains, and said the manufacturer is constantly modifying the aircraft. This certainly sounds like production problems to these nonexpert ears. There’s still a struggle between those who back the Mi-28N and others who favor the Ka-52 as Russia’s primary attack helicopter. With stronger state support, the Night Hunter has been winning the battle, but this accident might hurt its case. Meanwhile, a second Mi-28N squadron is supposed to be established at Budennovsk this year. 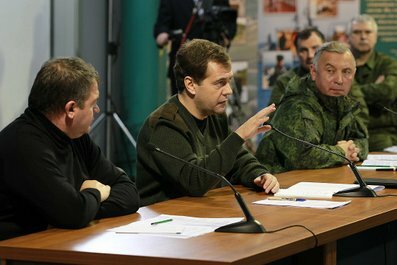 Major media outlets covered President Dmitriy Medvedev’s dialogue with five commanders (three Ground Troops, two Navy) at Gorokhovets. But one’s own look at what was said, and how it was said, is sometimes better. The Supreme CINC took some surprisingly forthright views and questions from his commanders. He didn’t make specific promises about providing the troops new assault helicopters, better protected combat vehicles, or tanks. He just kept saying the GPV will be fulfilled. Medvedev told one commander “we all know well what kind of army we had” before this most recent reform began in late 2008. This is funny since it’s a slam on Vladimir Putin, who was responsible for the army’s condition for most of this decade. Much of the dialogue depends on an artificial dichotomy between combat (combat training) and noncombat (housekeeping) officers, and on the need to shed the latter. It is easy now, of course, to belittle officers in the 1990s, and much of the 2000s, who tried to keep their subordinates paid and housed, and conscripts from beating or killing each other, at a time when there was not enough money, fuel, equipment, or even troops for training. A lot of officers neglected those housekeeping duties and turned to private schemes, crime, or corruption in those days. The two naval officers practically beg Medvedev for contractees because their conscripts can’t learn their jobs in one year. The Supreme CINC is supportive, but he won’t do it until the concept is fiscally viable (not a bad idea since the most recent contract service effort was spoiled by failure to deliver pay and benefits that would attract professional enlisted). And, finally, Medvedev revealed he is committed to finding Russia access to naval facilities abroad to support the Navy’s deployments. But let’s look at exactly what was said . . .
VDV Colonel Igor Timofeyev, commander of the 56th Independent Air-Assault Brigade, told Medvedev his troops would like Army Aviation to have new helicopter types, for landing troops and providing effective fire support, i.e. all-purpose assault helicopters. He also said his companies depend on UAZ vehicles for transport, which lack sufficient personnel protection, and can’t mount extra firepower. Then he gets to his point . 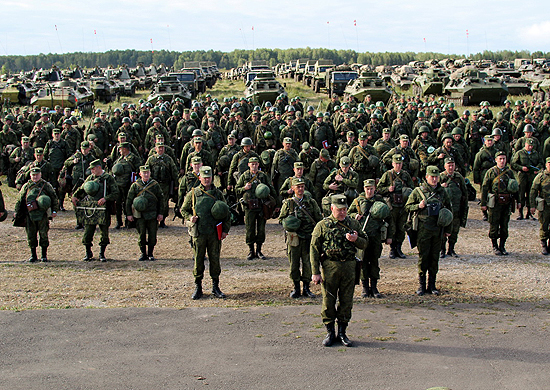 . . having seen new vehicles at Gorokhovets, he hopes he will have them in his own formation soon. The Supreme CINC doesn’t address the colonel’s call for better air support, and he admits the VDV’s vehicles are inadequate, but promises only that everyone’s transport means are going to receive more protection. But nothing specific. Ryazantsev goes one better and gives precise numbers: 415 officers of 611 in the former 81st Motorized Rifle Division were dismissed. He says they were officers who focused on ‘everyday problems’ rather than the fulfillment of military service duties. In his response, Medvedev talks about galvanizing the OPK to produce what the army needs, about the GPV, and about spending money wisely, but he doesn’t promise Colonel Rogalev anything. In his response to Pinchuk, Medvedev acknowledges that “we are still just preparing” to support contractees in terms of competitive pay and normal service and living conditions. One wonders how long it will take to get ready . . . they spent most of the past decade preparing to implement contract service before pulling the plug earlier this year. Last up is Captain First Rank Ildar Akhmerov, commander of the 44th ASW Ship Brigade. Akhmerov describes greatly increased underway time and Horn of Africa antipiracy operations by his four ships, and then concludes the sea time and servicing of complex shipboard equipment and systems are increasing the requirements on the training of all crew members. The price of a mistake far from Russia is too high. As formation commander, he says he has to increase the number of contractees on deployed ships by taking them from other ships, because conscripts can’t master complex equipment in their short time. So in the fleet and the district, they’ve made great efforts in selecting contractees, and providing them housing. But at present, this issue remains highly important not only at the level of a fleet formation, a district, but even on a state level. Akhmerov continues saying his ships in the Gulf of Aden need higher quality rear and technical support than other ships. But Russia has no bases in foreign countries in the Indian or Pacific Ocean where his ships could take on supplies, repair, and get some kind of rest for their crews. This is presently done by support ships in the detachment of ships, but a shore base would increase the quality of rear and technical support and reduce costs.